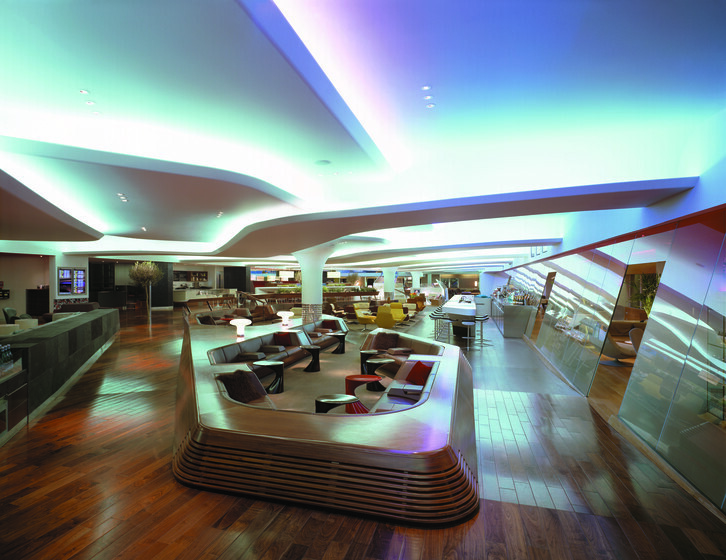 Atelier Ten were the consultants appointed to work on the £7m refurbishment and extension of the Virgin Lounge at Heathrow’s Terminal 3. 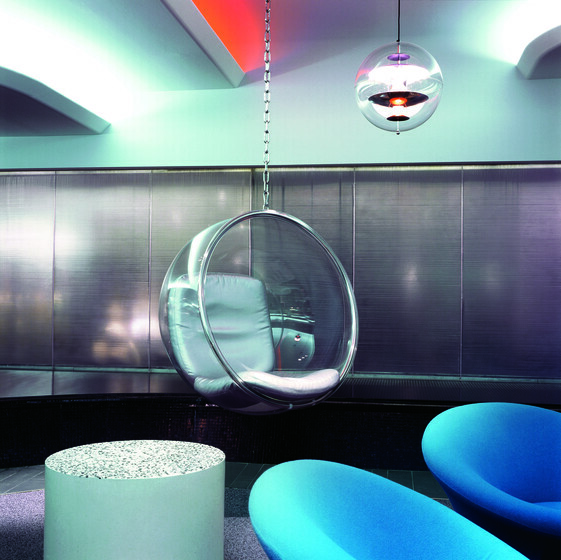 The spectacular 2,500m² environment was designed with London-based architectural practice Softroom along with the Virgin Atlantic design team. The design concept established the interior environment as a single flowing ‘landscape’ instead of dividing the space into separates compartments. The key services design features include a displacement ventilation system to bring improved comfort to waiting passengers and extensive lighting and audio visual installations. 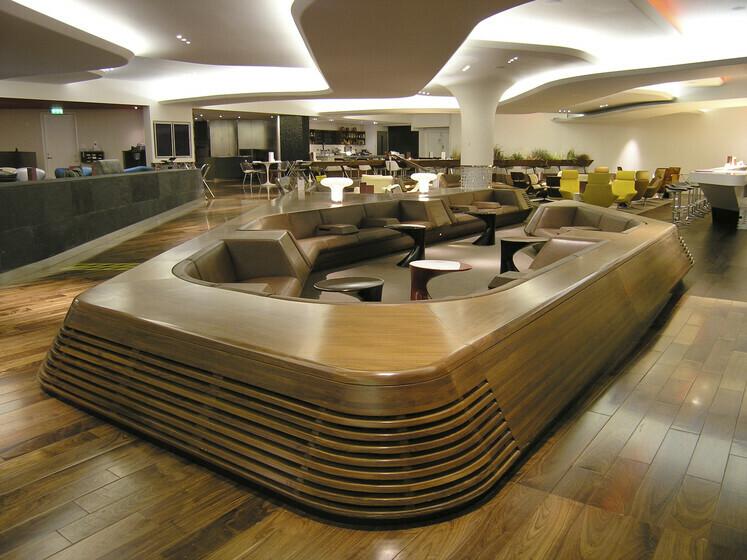 The bespoke ventilation grilles are integrated into the furniture design. 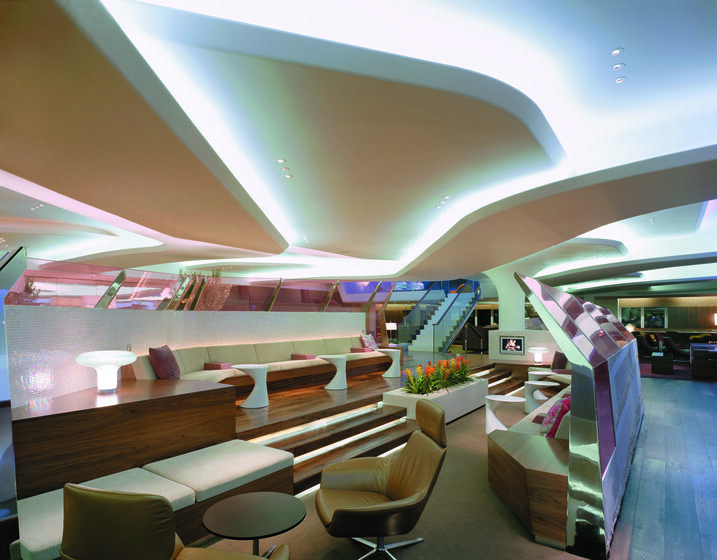 The overhead lighting is integrated within the complex sweeping ceiling creating a sense of moving clouds. This dramatic ceiling design was made possible by relocating the air-conditioning to low level, and thus avoiding the oppressive low slung grid of tiles and grilles normally found in airport environments and giving the clubhouse an entirely original character.